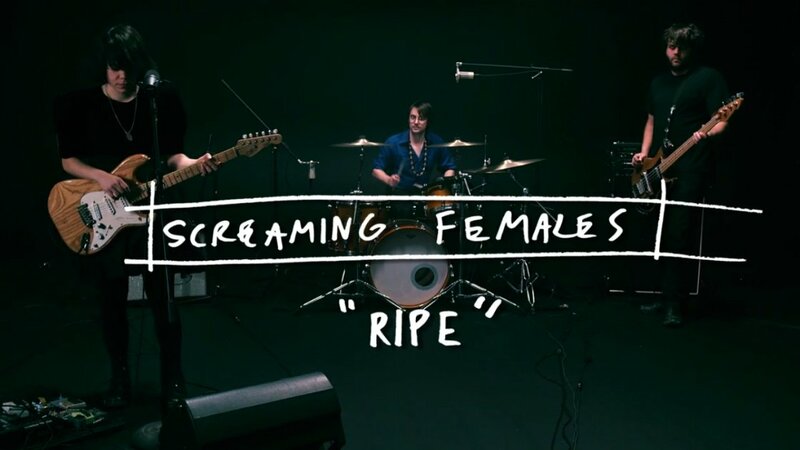 NJ trio Screaming Females have shared a live video performing "Ripe" at the 94 Jewel studio in Brooklyn, New York. The song is from their upcoming release Rose Mountain. Watch their performance above via YouTube. Directed by Lance Bangs (whose resume includes Nirvana, Sonic Youth, and Green Day), the video's dark mood fits perfectly with the song's dynamic energy. Singer Marissa Paternoster may be short in height, but the intensity in her performance looms large. Drummer Jarrett Dougherty and bassist King Mike provide a strong rhythm foundation that allows Marissa to combine metal riffs and punk chords with a heavy distortion. This video is a small example of the fury and passion that this band brings to their live shows. Rose Mountain will be the band's sixth full-length album, and will be out February 24th, 2015 via Don Giovanni. Pre-order it on iTunes and dongiovannirecords.com. 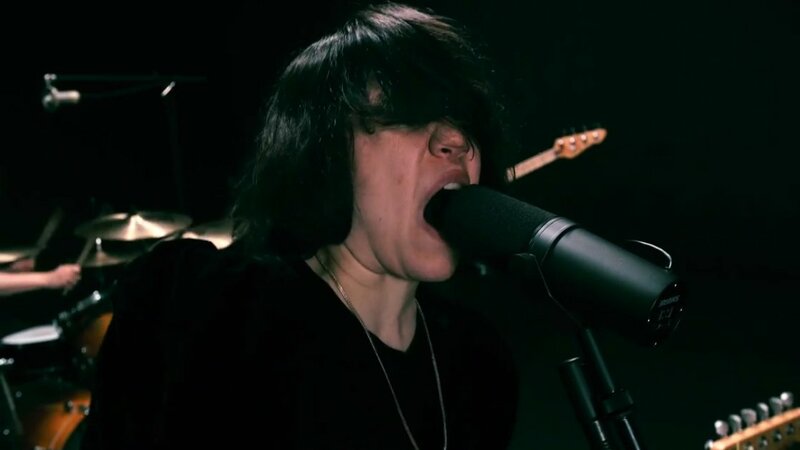 For the Screaming Females's latest music, news, and tour dates, check out their Zumic artist page.